Even more promo items! 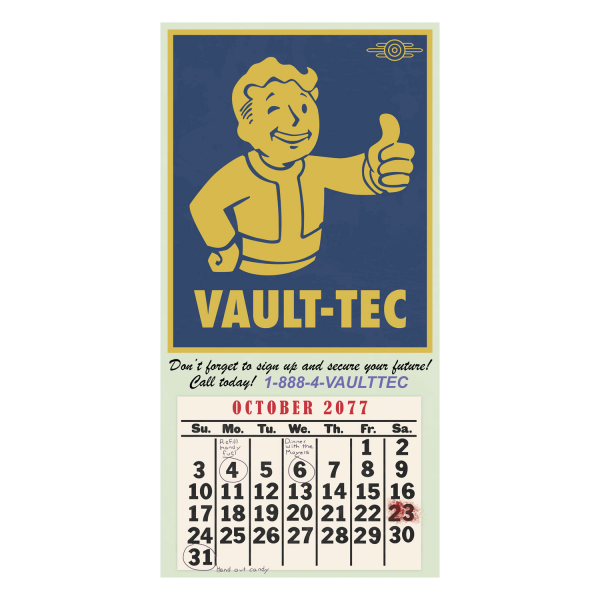 This 42x85cm sized poster looks like a vintage ad from "Vault Tec" and features the matching calender, showing the fateful month of October 2077 when the great war started. Manufactured by Gaya Entertainment.